A return to a familiar place yields rich results in light and movement for ASHLEY FROST. 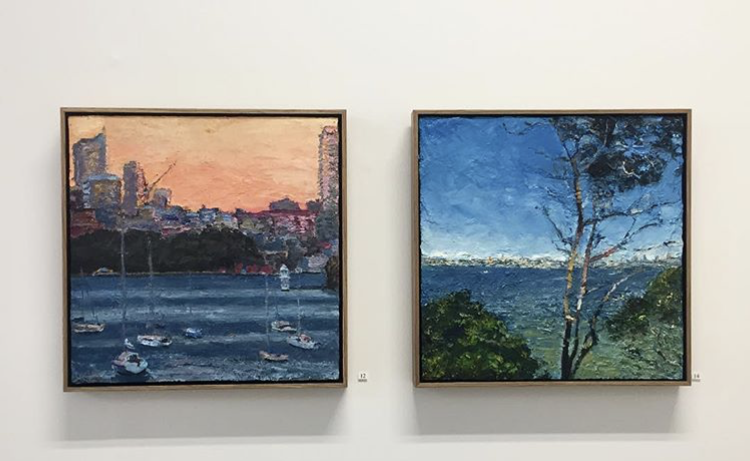 ​From autumn through to early spring this year ASHLEY FROST spent time on Mosman shore reflecting and responding to the beauty of the iconic view that has drawn many painters to its surrounds including Arthur Streeton. In this series FROST references Streeton’s panoramic format to explore the transition of light across the horizontal plane. FROST attended school close by to the Mosman waterfront at Milsons Point. He remembers compulsively sketching the Opera House during his Latin classes, and at 15 travelled on the Mosman Bay ferry to his first job in Sydney’s CBD. 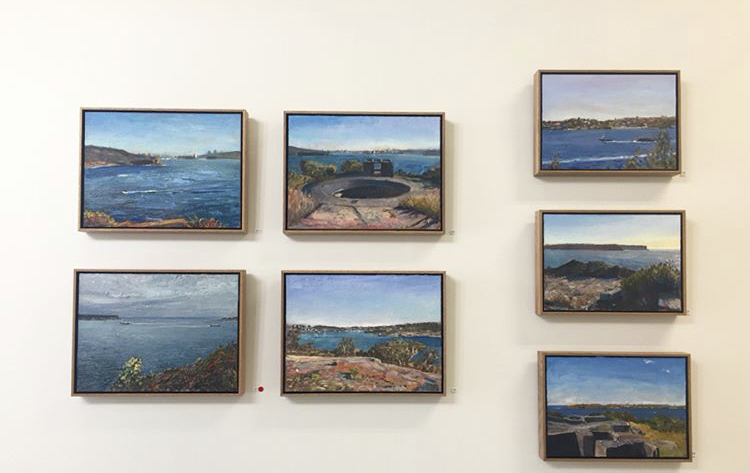 Since then he has been painting Sydney Harbour continuously throughout his career. This focused attention to the movement of light at dusk and dawn captures the signature Australian light at its most ephemeral. The movement of light reflected between the sky and the sea is almost blurred at these in-between hours. 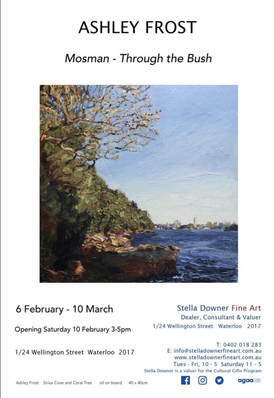 From the shore to the sea, FROST pushes his practice to play between vistas of the harbour, and his up close, encounters with the chaotic movement of the bush and scrub. There is an excitement to the bush studies, created in situ, the movement of light, line and tone exude an intensity of the artist’s encounter.